American Express has stopped working with Curve, just 36 hours after it appeared to join the smartcard scheme. American Express has suspended its partnership with Curve, a smartcard that promises to combine all your credit and debit cards. That means Curve users will no longer be able to link their Amex cards to the app. The news comes just 36 hours after Curve's original announcement of a partnership with American Express, which loveMONEY reported. In a statement, Curve told its users that "Amex has given no good or fair reason for their decision and we feel it is entirely disproportionate and discriminatory to Curve and all our (joint) customers". It has reassured customers that funds already transferred from their Amex can still be spent. American Express told frequent flyer website Head for Points that it had only cooperated with Curve on a trial, which would not be continued. Curve is a smartcard that allows you to combine all your existing debit and credit cards into one. It's also free to spend through Curve abroad, even if the cards you've attached to it usually charge fees for use abroad. There is, however, potential costs attached, and using Curve could affect your consumer rights. Read on to see if Curve could suit you. To get started you need to download the Curve mobile app, which is available from the Apple App Store and Google Play. Then it’s a case of taking photos of your cards to add them to your mobile wallet and adding in the security code like you would when shopping online. Using the app, you can select what card or account you want to use when making payments. You can set a default card and then select other cards for specific transactions. You don’t need to open the app for every purchase – just if you want to switch the card used. Everything is processed like a UK shop transaction, which eliminates the foreign usage fees cardholders often face for using their card abroad (apart from the fees charged by Curve itself - see below). The app lists every payment made with the card, allowing you to track your transactions and keep on top of exactly how much you've spent. Curve works on the MasterCard network so can be used wherever MasterCard is accepted – including magnetic strip terminals (still common abroad), chip and PIN, and contactless terminals. Furthermore, all foreign transactions carried out on the card will be charged at the interbank exchange rate, which is the best rate available to consumers. These transactions are fee-free - up to a point. For Curve Blue, the free version, you can spend up to £500 abroad and withdraw up to £200 a month without fees: it's £2 or 2% thereafter. For Curve Black, which costs £9.99/month, there is no spending cap and £400 monthly cash withdrawals cap. For the newly introduced Curve Metal card, costing £14.99/month, spending is again unlimited and you get £600/month cash withdrawals (if you want a metal card, there are other options). However, for all Curve cards you will have to pay a fee for foreign spending on the weekend: 0.5% for pounds, US Dollars and Euros and 1.5% fee for other currencies. This rather irritating clause means that Curve can be beaten by several credit cards that allow fee-free spending and withdrawals abroad, although these are largely restricted to those with an excellent credit rating. Alternately, you could get a Starling Bank account. The app-based bank charges no foreign spending and withdrawal fees whatsoever and pays 0.5% interest on balances: read more about it and other top banks for travellers here. 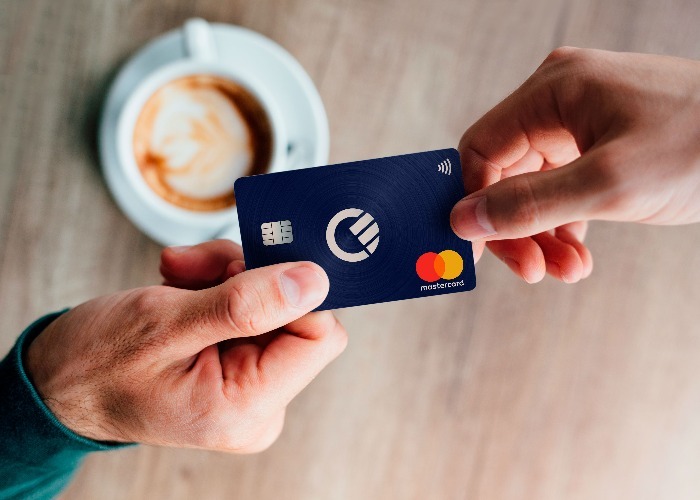 Curve is basically a prepaid MasterCard, so has bank-­level protection and all the security features of traditional cards. With Curve, your original card details and data are never revealed to the merchant. Instead, when making a purchase with Curve, online or in­store, a unique token is used to process your payment, keeping your identity and the actual card numbers safe. Curve claims these added layers of security protection against fraud and removes the worry that often comes when a bank card is lost, as the original cards are safely at home. If you lose your Curve card, you can cancel it instantly from your phone or online. Curve will send a replacement card for free. If you use Curve for big purchases you won’t be covered by Section 75 protection if anything goes wrong – in the same way as PayPal or Amazon are third party purchases, using Curve is not a direct purchase from your original card. The bottom line is you won't be protected if any purchase you make over £100 turns out to be faulty or doesn't arrive. It's a vital piece of consumer protection and is a big drawback of the Curve card. With regards to reward schemes, Curve won’t let you accrue additional points often on offer for using cards linked to specific retailers. For example, supermarket cards such as Tesco and Sainsbury's offer extra points if you use them in the supermarkets in question. Using Curve will mean you just get the standard rewards on these transactions, rather than a boosted return. Being able to combine all your cards into one, and just having to remember one PIN number, is hugely convenient. With the Curve Blue card being free to get, it could be worth giving it a go. However, because it turns out that Curve doesn't work with American Express, it's little use to many cashback and rewards point collectors. We're also not convinced that Curve offers the best-value solution for foreign spending. Trying to remember whether you're under your withdrawal limit whilst on holiday is frustrating when there are fully fee-free debit and credit cards out there - and some even earn you cashback. Therefore although Curve can save you time, there are better ways to save your money.